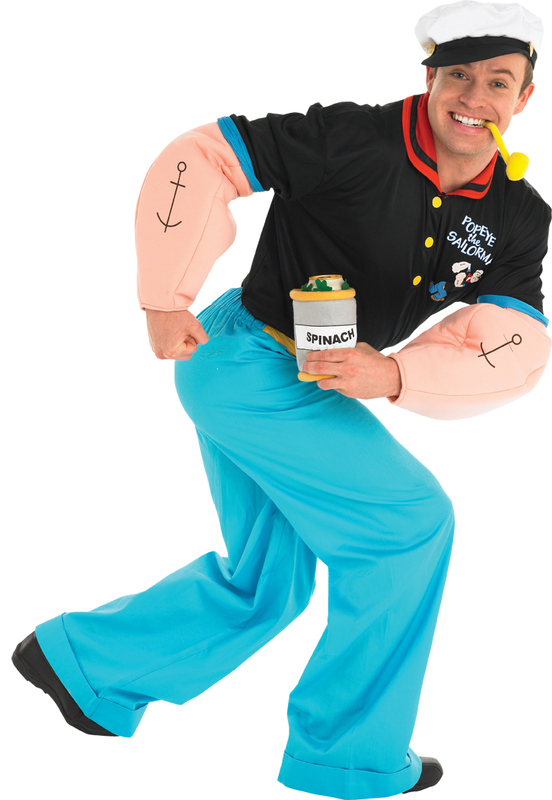 Where can you find your own sweet Popeye costume? Fancy Dress Supermarket of Course! A new study published in the Journal of Cell Metabolism reveals that subjects who were given a small dose of inorganic nitrate (an amount "equivalent to what is found in two or three red beets or a plate of spinach") developed more efficient mitochondria. Mitochondria act as cellular "powerhouses" and their improved functioning in the presence of nitric oxide (a compound that the body produces from dietary nitrate) meant that less oxygen (as much as 5%) was required in order to provide energy to cells. The researchers who conducted this study speculate that the nitrate-mitochondria pathway may account for some of the health boosting effects of fruits and vegetables which are naturally rich in nitrate. Until these findings were published, however, nitrate was considered to be useless, if not dangerous. 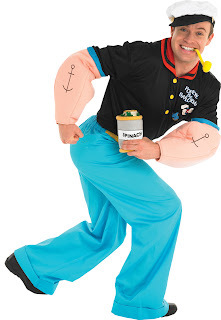 Apparently, Popeye was right! Unfortunately, eating spinach everyday isn't reasonable (or palatable) for many people. My suggestion is to incorporate dark leafy greens (like spinach) into a daily "green" smoothie. By mixing greens in with fruit, juice, yogurt, nuts, protein powder, and even vegetables, you'll be packing in a powerful nutritional punch that even Popeye would be proud of. For more information, recipies, and ideas for "green" smoothies, check out Green Smothie Goodness. Cell Press (2011, February 1). Want more efficient muscles? Eat your spinach.